Second of the shipments from Japan that left Japan in the last two weeks (the first still hasn’t arrived but I’m crossing my fingers for some good news later today) includes a couple of new products. First up is Gotoh’s relic vintage Telecaster bridge. 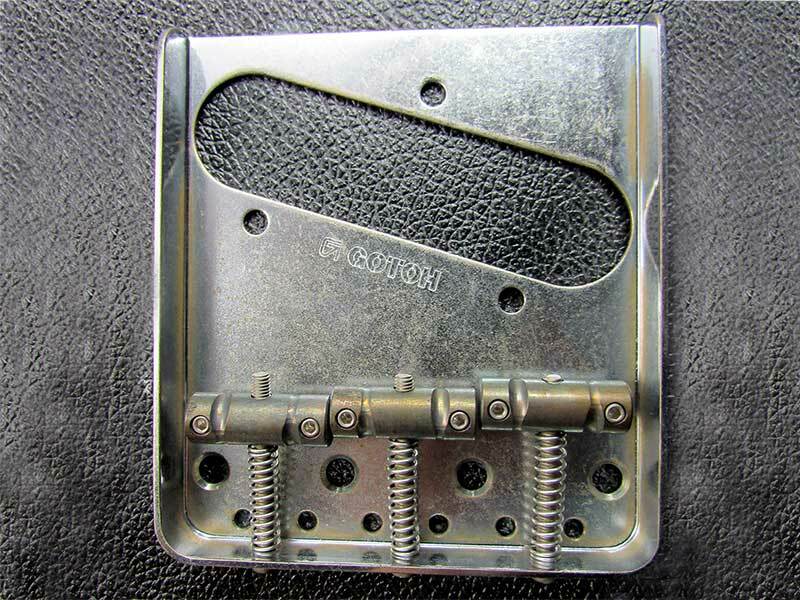 I’ve included both the official Gotoh pic and one of my own as the ageing on the saddles in the Gotoh pic isn’t representative of the final product – they are more consistent and not rusty. The two pics on the site are the same bridge so you can see how the look can change depending on the angle. The second new product will be up later today – I need to take photos and add it to the site. Also in the shipment Hosco maple Telecaster necks with med/jumbo frets and Gotoh GTC202 Tele bridges. I’ll have another update later today – must get on with packing orders! 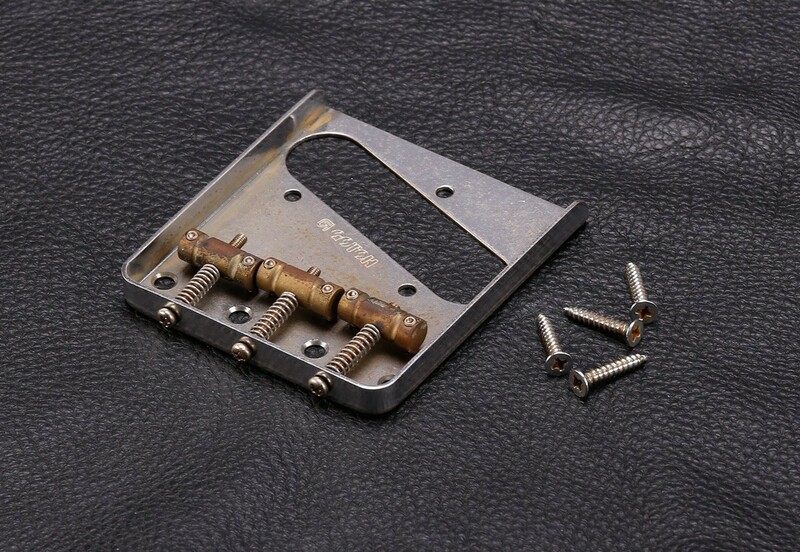 This entry was posted in Product updates and tagged GOTOH, Hardware, Products, Relic, Telecaster. Bookmark the permalink.